I had this conversation with one of my sister’s friends recently. She had joined our family out for lunch because she and my sister had choir rehearsal afterwards. 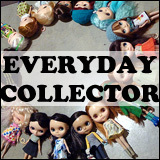 I had one of my Blythes with me in a carry bag and she had asked what was in it. So I showed her the doll that I had with me (a certain mouse doll) and then she started asking more questions about Blythe. I explained the history and the eye mechanism (she thought the pinks were a bit “odd”). I have eleven. I mentioned getting them locally (Sophie was bought in an actual shop! ), online, having them bought for me in brick-and-mortar shops overseas. And then I explained the overall range of prices. Which led to even more questions. She did seem to like Eden (Punkaholic People) though. And she did like the photo that I had of Mollie (Simply Sparkly Spark). But other than that, she seemed to think the rest were a bit too similar (EBL = SBL = RBL in her mind; Kenners were too ratty looking, hah). 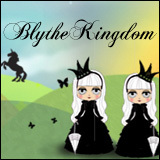 Question of the Week: Do people in your life know how much Blythe costs? I have been asked before why I don’t “just make one of those dolls”….um yes let me fire up the plastic molding system out in the garage. O_o. Luckily the boy had an expensive pair of sneakers on, so comparisons were drawn…lol! I find there’s always something comparable with every one I’ve talked to, whether it’s expensive shoes, video games, instruments… etc. Most people’s first reaction seems to be along the lines of “OH MY HOW EXTRAVAGANT AND UTTERLY UNLIKE ANYTHING I WOULD DO” lol, which is actually rarely true. I agree with Alice about the saving money on drinking. 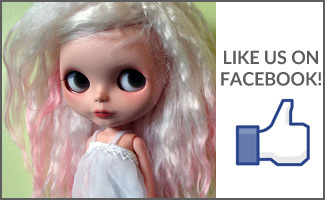 My mum actually said once that she could make a blythe for me, out of material, because “Its just the big eye thing right?”. 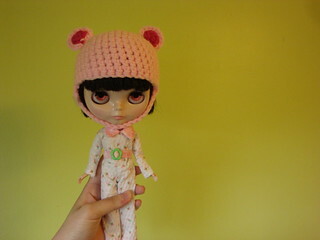 I think she is a squib now, she makes clothes for my doll.